They a bigger family! 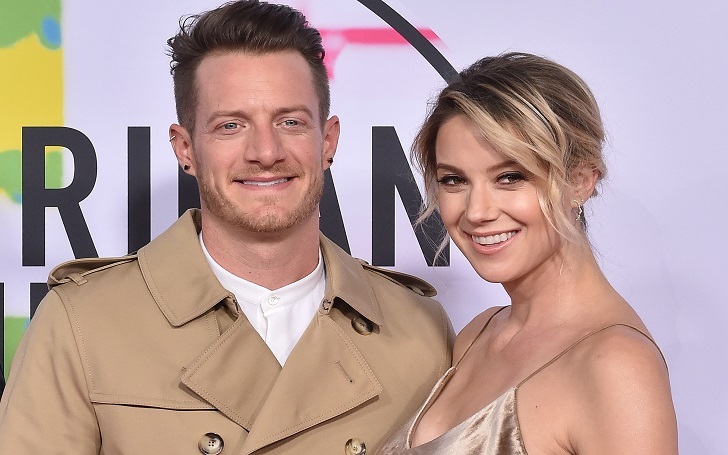 Tyler Hubbard and his wife Hayley Hubbard want a second child just nine months after they welcomed their first child, an adorable baby girl, multiple sources have confirmed. The Florida Georgia Line's musician had a talk with Us Weekly on Thursday, September 6 at Jason Derulo’s Just For You Foundation’s Inaugural Heart of Haiti Gala in Beverly Hills, where he said, "You never know! We’re gonna steadily be working on it and see what happens." The Cruise singer and the fashion blogger, in the meantime, enjoy spending a quality time together. Hayley noted, the couple's date nights “could be anything from just being at the house to cooking dinner, to being in PJs, to this, I guess, getting all dressed up and having a fun night out." The duo also opened up about their love and passion for philanthropy while chatting with. Tyler explained, "We love giving back, we love anything that has to do with the great purpose of helping people that need help. Haiti is especially close to our heart." On cloud nine with our new little bundle of joy Olivia Rose!! God couldn’t have brought us a more perfect gift this Christmas. What. a. miracle!! It hasn’t even been 24 hours and Tyler has been so fun to watch as a new Dad ?? #SoInLove #ChristmasMiracle ?? :@nathanchapmanofficial Deets in profile link???? The lovebirds started dating in 2013 and eventually became engaged in September 2014 during a romantic helicopter ride. Nearly after one year of their engagement, the couple got married in July 2015. I had no idea I could love somebody as much as I love @hayley_hubbard but last night God gave us Olivia Rose and melted our hearts. We love this little girl more than words can describe and it hasn’t even been 24 hours yet. Our life has been forever changed for the better. We wish the couple all the very best for expanding their brood.